I finally got my BC stickers! The package from Book Crossing came today with my ID labels and the "I'm not lost" stickers. Yay!!! I'm trying to decide now where to leave my first book. 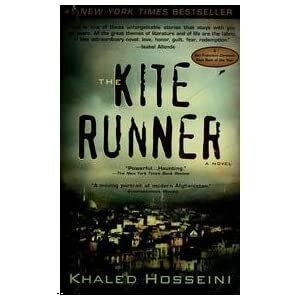 I have chosen The Kite Runner by Khaled Hosseini. It got rave reviews after its release as it was a great reader but I had a lot of trouble with it (on an emotional level). I prefer books that have action and magic and fantasy and murder and mayhem. This book was expertly written but was more emotional than was comfortable for me. (I usually max out at about the Nicholas Sparks level!) And it's definitely NOT for kids. I'm hoping someone that loves this type of story will pick it up, read it and love it. Ok... I'm all ready to begin. I've ordered my bookplates (I created some original ones --->) and I've gone through our overcrowded bookshelves and picked out the first 25 books that I'd like to share. They are all great books, mostly hardcovers, by great authors (and I didn't skimp on the quality! ): Anne Rice, John Grisham, James Patterson, Terry MacMillan, Stephen L. Carter, Colleen McCullough, Mary Higgins Clark, Jeffrey Deaver, Dan Brown, Danielle Steele, Michael Baisden, etc. I want to share books that I think others will read and really enjoy as much as I did. So I'm excited to receive my labels. As soon as they come, I'll start my journal entries and then happily release my books into the wild. I hope this works and that folks pick up the books, log them in, read them and pass them on. I really do! I'm trying to come up with a bunch of good, populated locations where I can drop off my labeled books: a bench at the mall, maybe a special trip to a Starbucks, a bench at the park (weather-permitting, of course! ), my kids' dance school, my hairdresser... And as I mentioned before, I also plan to send a few with my parents on their cruise next month. I'm especially excited to see where those books end up! I joined this website a few years ago upon recommendation of a friend. However, I never became an active participant, probably because I didn't really understand the process or the purpose, and the site left my memory completely. I recently came across it again during a boring Sunday afternoon while clicking on that wonderfully addictive StumbleUpon button. 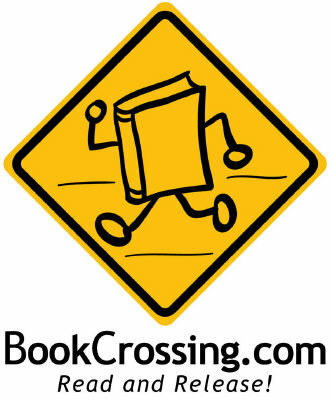 The idea of BookCrossing immediately caught my interest but when I went to register for an account, it told me that my email address was already registered. Lo and behold... it was! And now I'm ready to get started. The basic premise is that you label your book with a unique ID number, register it on the book crossing website and then leave it in a conspicuous place so that someone else will take it, log the location, read it, and then continue to pass it on. If readers are (hopefully) willing to log the book in before passing it on to someone else, you will be able to see the journey of your book. I love that idea! So I'm just getting started. I'm ordering pre-numbered labels and "I'm Free" stickers and have a list of great books in mind that I plan to pass on. I just need a few locations. Work comes to mind, of course, since I work in the home office of a large bank. I don't go to Starbucks or fast food restaurants very often but they seem to be ideal locations as well. I also plan to send a couple books with my parents on their cruise next month; who knows where those books could end up. I'll try to chronicle my books' journeys here. I'm hoping that this turns out to be a fun and interesting experience!